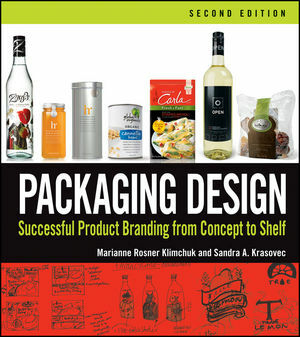 Now in full-color throughout, Packaging Design, Second Edition has been fully updated to secure its place as the most comprehensive resource of professional information for creating packaging designs that serve as the marketing vehicles for consumer products. Packed with practical guidance, step-by-step descriptions of the creative process, and all-important insights into the varying perspectives of the stakeholders, the design phases, and the production process, this book illuminates the business of packaging design like no other. MARIANNE ROSNER KLIMCHUK is the Chairperson and Professor of Packaging Design at the Fashion Institute of Technology (FIT) in New York City and Partner at designPracticum, specialists in design leadership and management. SANDRA A. KRASOVEC is Associate Professor of Packaging Design at FIT and Partner at designPracticum, specialists in design leadership and management.